All Rack Mount, Wall Mount and OSP Enclosures are built and configured in our US manufacturing plant. Need pigtail assemblies? We've got those too! 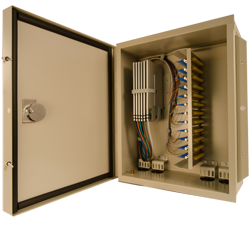 Century Fiber Optics FISR and FTS Rack Mount enclosures provide an economical solution for installations where direct termination or pigtail splicing is required. 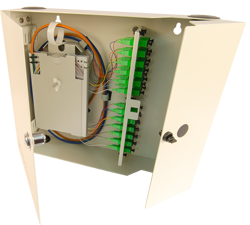 Century Fiber Optics FLX, FIU, FCL, FSO Wall Mount enclosures offer a flexible and economical solution for applications where indoor wall-mounting is required. 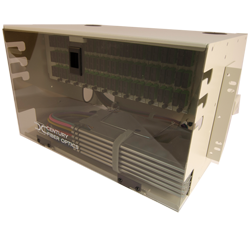 Century Fiber Optics ESTC Indoor/Outdoor enclosures are designed to withstand harsh outdoor environments. 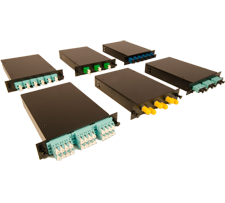 Century Fiber Optic Cassettes are made from 16ga Steel and have unlimited configurations for your application. Cassettes are made in our USA factory, in stock & ready to ship same day, when you need them. 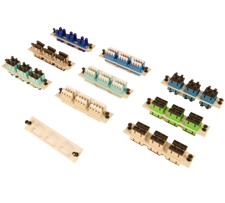 Century Fiber Optic Adapter Plates fit all rack and wall mount enclosures. Available in all connector types. Adapter plates are made in our USA factory, in stock & ready to ship same day, when you need them. Century Fiber Optic Pigtail arrays are USA manufactured, designed for our fiber optic enclosures and are cross compatible for universal applications. In stock & ready to ship when you need them. 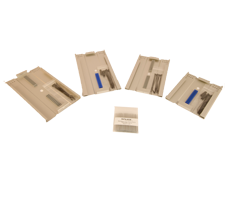 Century Fiber Optic Splice Trays are available in 7", 8.75" and 10" trays with 12 or 24 fiber accessibility. Splice trays are made in our USA factory, in stock & ready to ship same day, when you need them. 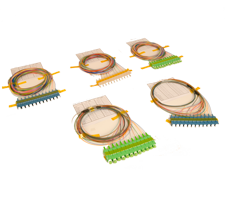 Established as a division of Century Manufacturing Co., Inc. in 1990, Century Fiber Optics manufactures a complete line of passive fiber optic interconnect products for wall mount, rack mount, and OSP (Outside Plant) applications. We stock 95% of our product at all times and can get most orders out the door within 24 hours!